Ready to graduate and be done forever? Yeah, we figured. 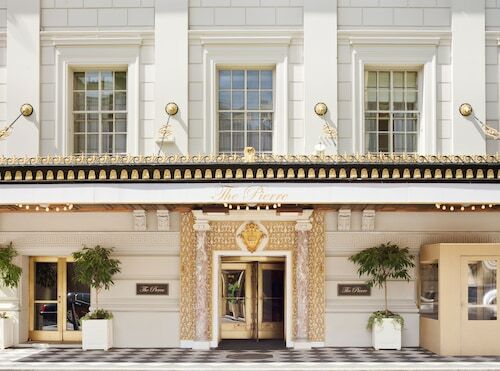 Whether the family is in town to watch you fling your cap into the air or you’re hitting the road for some post-graduation fun, these college town hotel deals pass with flying colors. Situated in Tempe, this hotel is within a 15-minute walk of Arboretum at Arizona State University, Arizona State University, and Mill Avenue District. Tempe Beach Park and Tempe Town Lake are also within 2 mi (3 km). Tempe Transportation Center is 16 minutes by foot and Veterans Way - College Station is 17 minutes. 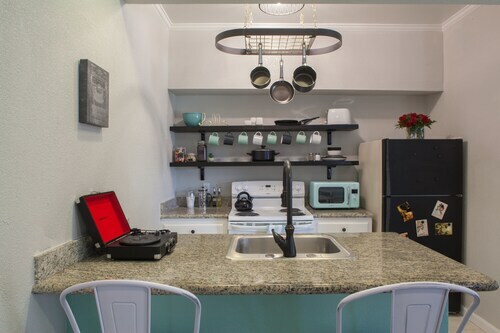 Adjacent to Tempe's Mill Avenue entertainment district, this hotel is amidst shops, restaurants, and nightspots, 1 block from Arizona State University, 2 blocks from Sun Devil Stadium, and less than 6 miles from the Phoenix airport. 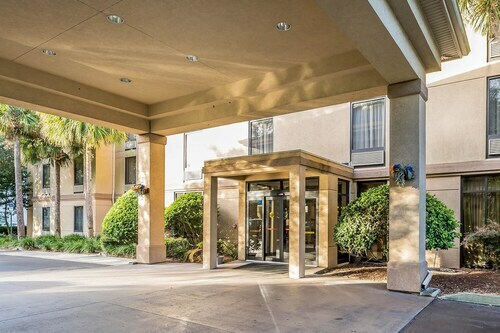 This Tempe hotel is less than 2 miles from the Shalimar Golf Club, 5 miles from Arizona State University and Mill Avenue shops, and 7.5 miles from the Phoenix airport; Fighter Combat International is 15 miles away. 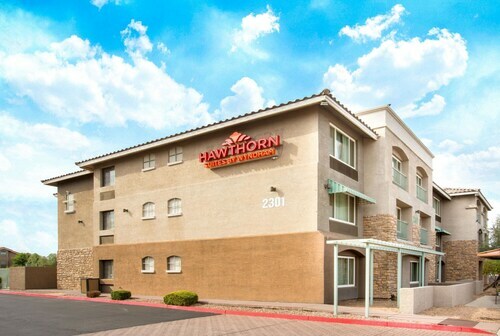 Located 5 miles from downtown Phoenix, this hotel is within 3 miles of Old Town Tempe and Arizona State University. 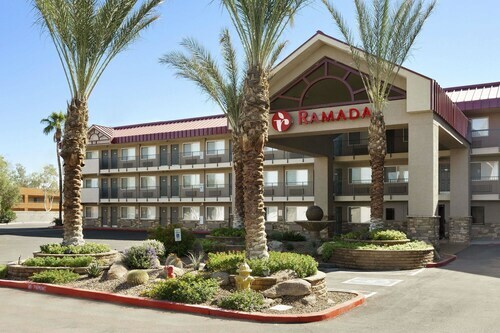 Located in the heart of Tempe, this hotel is 2.7 mi (4.3 km) from Kiwanis Park and within 6 mi (10 km) of Arizona Mills Mall and Diablo Stadium. Rawhide Western Town and Oasis Water Park are also within 6 mi (10 km). 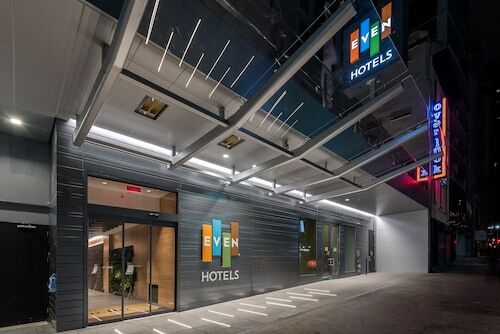 Situated near the airport, this hotel is within 1 mi (2 km) of Tempe Center for the Arts and Tempe Town Lake. Tempe Beach Park and Mill Avenue District are also within 2 mi (3 km). Priest Dr - Washington Station is 24 minutes by foot. 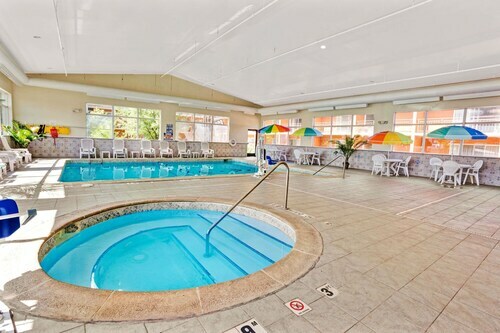 Situated near the airport, this hotel is 2.4 mi (3.9 km) from Oasis Water Park and 2.5 mi (4 km) from Arizona Mills Mall. Sea Life Aquarium and LEGOLAND Discovery Center Arizona are also within 3 mi (5 km). 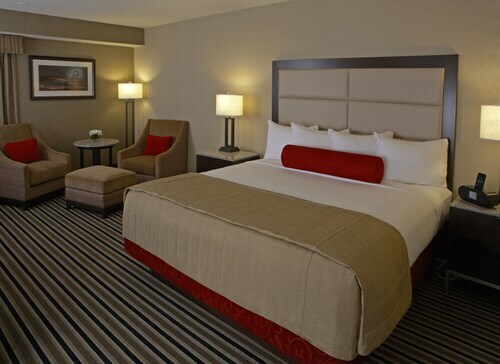 Situated near the airport, this hotel is within 1 mi (2 km) of Arboretum at Arizona State University and Tempe Town Lake. Arizona State University and Phoenix Zoo are also within 3 mi (5 km). 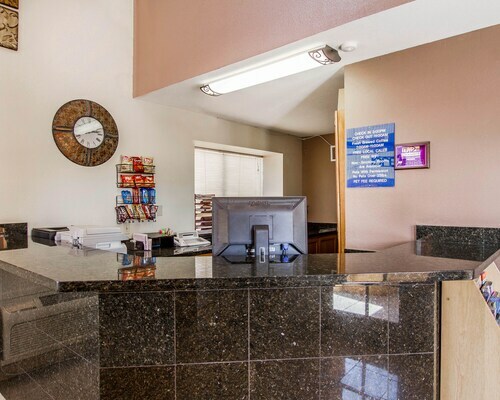 This hotel is two miles from Phoenix Sky Harbor International Airport, three miles from downtown Tempe, four miles from Tempe Diablo Stadium, and nine miles from Phoenix. 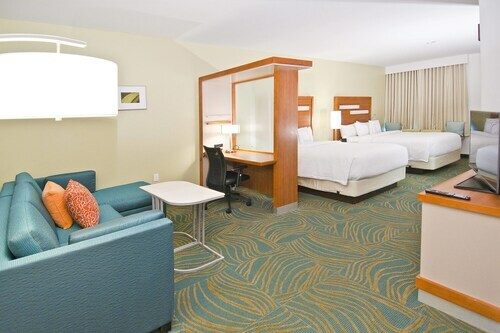 Situated near the airport, this hotel is within 1 mi (2 km) of Sea Life Aquarium and Arizona Mills Mall. Diablo Stadium is 2.4 mi (3.9 km) away. Located in the heart of Tempe, this golf hotel is within 1 mi (2 km) of Tempe Town Lake and Packard Stadium. Sun Devil Stadium and Arizona State University are also within 2 mi (3 km). University Dr - Rural Station is 25 minutes by foot and Center Parkway - Washington Station is 27 minutes. Located in the heart of Tempe, this hotel is within 1 mi (2 km) of Sea Life Aquarium and Arizona Mills Mall. Diablo Stadium is 2.4 mi (3.8 km) away. Located 5 miles (8 kilometers) from the international airport, Red Roof PLUS+ Tempe - Phoenix Airport offers convenience and simple comforts. Downtown is a 15-minute drive, and Arizona State University is 2.6 miles (4.2 kilometers) away. Tempe Diablo Stadium is even closer, less than 1 mile (1.6 kilometers). 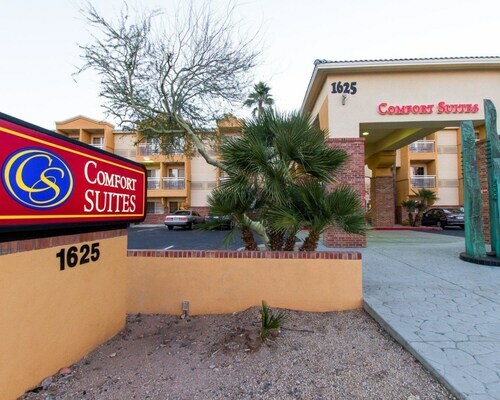 Situated near the airport, this hotel is within 1 mi (2 km) of Arboretum at Arizona State University, Arizona State University, and Tempe Town Lake. Mill Avenue District and Tempe Beach Park are also within 2 mi (3 km). University Dr - Rural Station is 21 minutes by foot and Veterans Way - College Station is 26 minutes. 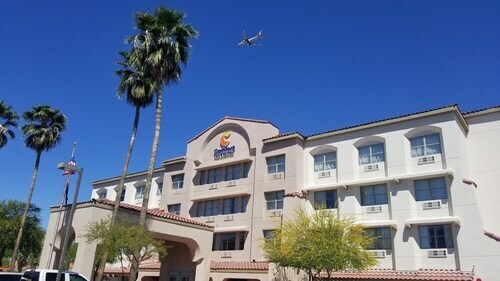 Situated near the airport, this hotel is within 1 mi (2 km) of Arboretum at Arizona State University and Tempe Town Lake. Arizona State University and Phoenix Zoo are also within 3 mi (5 km). Center Parkway - Washington Station is 29 minutes by foot. 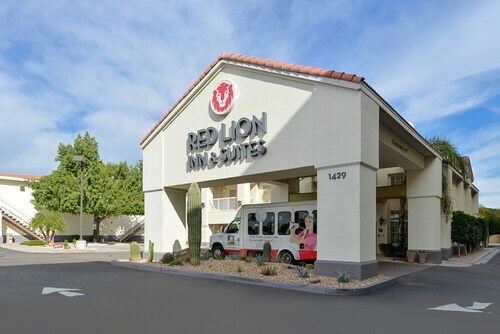 Situated near the airport, this hotel is steps from Arboretum at Arizona State University and Mill Avenue District. Arizona State University and Tempe Town Lake are also within 1 mi (2 km). Mill Ave - Third Street Station is 10 minutes by foot and Tempe Transportation Center is 13 minutes. 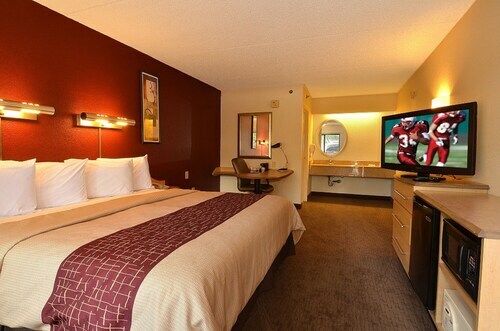 Situated in Tempe, this hotel is within 3 mi (5 km) of Diablo Stadium, Arizona Mills Mall, and Arizona State University. Mill Avenue District and Tempe Town Lake are also within 3 mi (5 km). 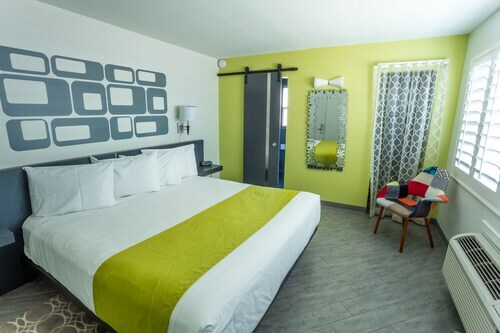 Located in the heart of Tempe, this hotel is 0.7 mi (1.2 km) from Arboretum at Arizona State University and within 3 mi (5 km) of Sloan Park and Arizona State University. Tempe Town Lake and Mesa Riverview are also within 3 mi (5 km). Smith-Martin - Apache Station is 6 minutes by foot and Price-101 Fwy - Apache Station is 8 minutes. 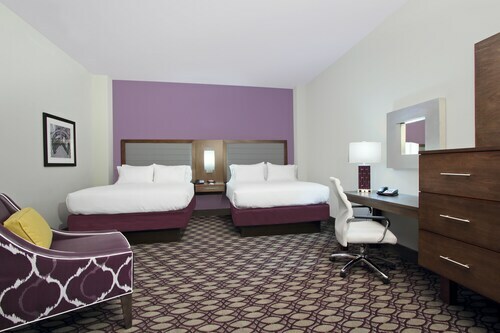 Situated in Tempe, this hotel is within 1 mi (2 km) of Arboretum at Arizona State University and Arizona State University. Tempe Town Lake and Mill Avenue District are also within 2 mi (3 km). Dorsey Ln - Apache Boulevard Station is 7 minutes by foot and University Dr - Rural Station is 11 minutes. Situated in Ann Arbor, this boutique hotel is within 3 mi (5 km) of Ann Arbor Hands On Museum, University of Michigan, and Michigan Stadium. Kempf House Museum and Power Center for the Performing Arts are also within 3 mi (5 km). 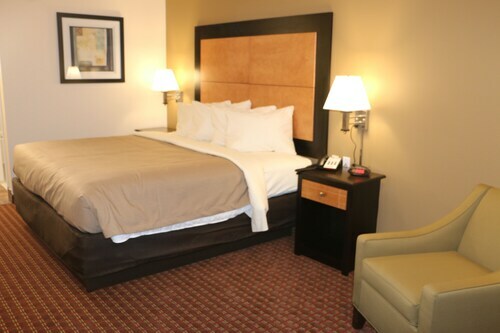 Situated in Ann Arbor, this hotel is within 3 mi (5 km) of Briarwood Mall, University of Michigan, and Michigan Stadium. Cobblestone Farm and Buhr Park are also within 2 mi (3 km). 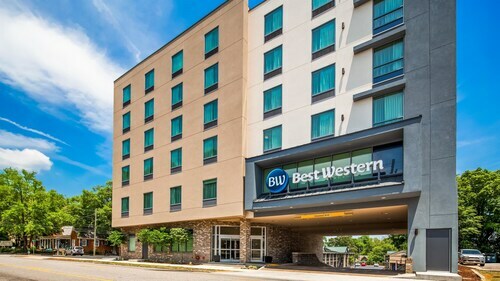 Situated in Ann Arbor, this hotel is 0.5 mi (0.7 km) from Briarwood Mall and within 3 mi (5 km) of Buhr Park and Yost Ice Arena. Crisler Arena and Michigan Stadium are also within 3 mi (5 km). Situated in the business district, this hotel is within 3 mi (5 km) of Briarwood Mall, University of Michigan, and Michigan Stadium. Cobblestone Farm and Buhr Park are also within 3 mi (5 km). Situated in Ypsilanti, this golf resort is 1.6 mi (2.6 km) from Pine View Golf Course and 2.2 mi (3.6 km) from Eastern Michigan University. Michigan Firehouse Museum and Ypsilanti Water Tower are also within 3 mi (5 km). 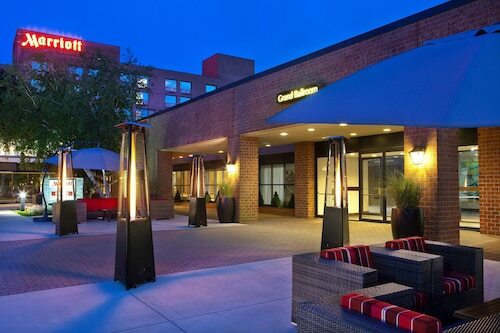 Located in the heart of Ann Arbor, this hotel is steps from Hill Auditorium and University of Michigan. U Of M Hospital and Michigan Stadium are also within 2 mi (3 km). Ann Arbor Station is 13 minutes by foot. 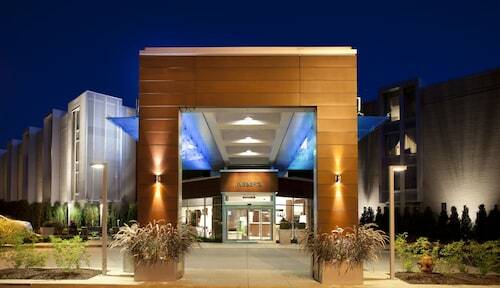 This atrium-style hotel is located roughly 2 miles from the University of Michigan in the college town of Ann Arbor. 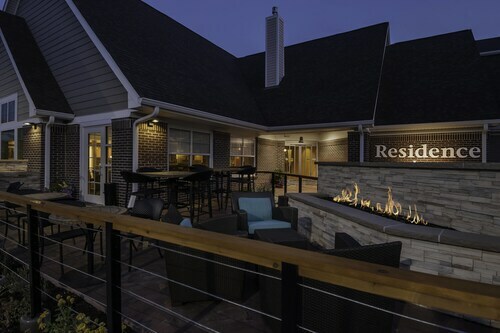 Located in the heart of Ann Arbor, this hotel is within 3 mi (5 km) of Cobblestone Farm, Buhr Park, and Rynearson Stadium. Ypsilanti Water Tower is 3 mi (4.9 km) away. 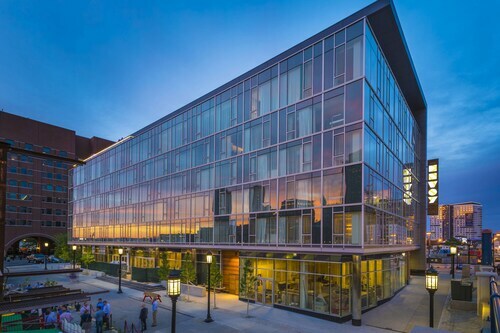 Situated in Ann Arbor, this hotel is within 3 mi (5 km) of Gerald R. Ford Library, Matthaei Botanical Gardens, and Leslie Science & Nature Center. University of Michigan and U Of M Hospital are also within 6 mi (10 km). 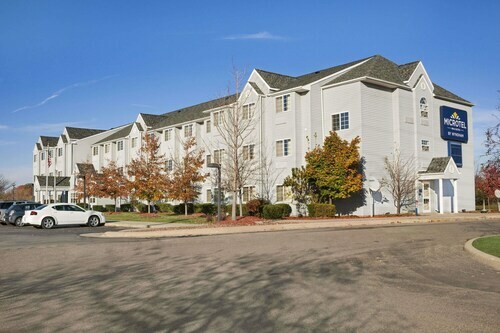 Located in the heart of Milan, this hotel is 8.5 mi (13.7 km) from Pine View Golf Course and within 16 mi (25 km) of University of Michigan and Briarwood Mall. Eastern Michigan University and U Of M Hospital are also within 16 mi (25 km). Situated near the airport, this hotel is 0.4 mi (0.6 km) from Briarwood Mall and within 3 mi (5 km) of Crisler Arena and Michigan Stadium. University of Michigan and Hill Auditorium are also within 3 mi (5 km). Located in the heart of Ann Arbor, this motel is within 3 mi (5 km) of Briarwood Mall, University of Michigan, and Michigan Stadium. Cobblestone Farm and Buhr Park are also within 3 mi (5 km). Situated in a shopping district, this hotel is within 3 mi (5 km) of Briarwood Mall, University of Michigan, and Michigan Stadium. Cobblestone Farm and Buhr Park are also within 3 mi (5 km). 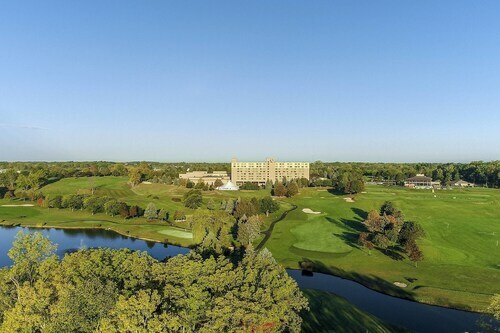 Situated near the airport, this hotel is within 3 mi (5 km) of Gerald R. Ford Library, Matthaei Botanical Gardens, and Leslie Science & Nature Center. University of Michigan and U Of M Hospital are also within 6 mi (10 km). 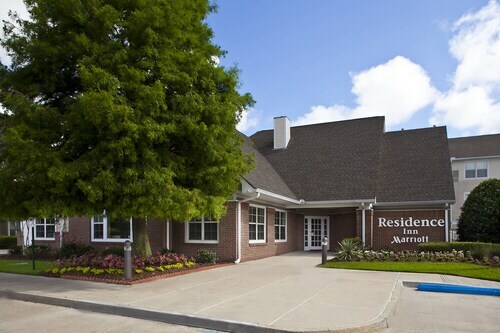 Situated in Ann Arbor, this hotel is within 3 mi (5 km) of Buhr Park, Cobblestone Farm, and Rynearson Stadium. Ypsilanti Water Tower is 2.9 mi (4.7 km) away. Situated in Baton Rouge, this hotel is within a 10-minute walk of Old State Capitol and Baton Rouge River Center. Louisiana State University and Hollywood Casino are also within 3 mi (5 km). The Belle of Baton Rouge sits on the east bank of the Mississippi, a block from the River Center with its year-round program of concerts and theater productions. History buffs will want to visit the Old State Capitol and the WWII destroyer USS Kidd, docked a 10-minute walk away. 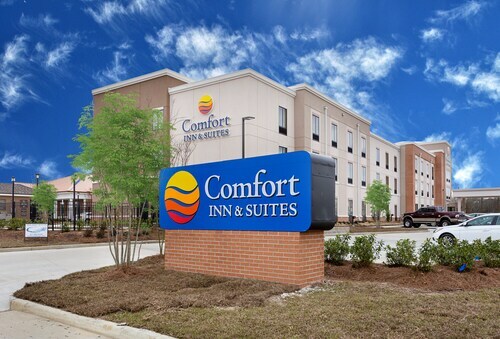 Located in Scotlandville, this hotel is 1.6 mi (2.6 km) from Metro Bowl and 2.5 mi (4.1 km) from Southern University and A&M College. A.W. Mumford Stadium and Delmont Village Shopping Center are also within 3 mi (5 km). 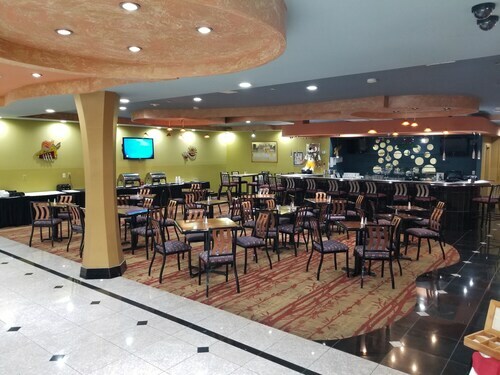 Situated in the business district, this hotel is 2.5 mi (4 km) from Louisiana State University and within 6 mi (10 km) of Baton Rouge River Center and Hollywood Casino. Mall of Louisiana and Southern University and A&M College are also within 12 mi (20 km). Located in the heart of Baton Rouge, this hotel is within 3 mi (5 km) of Mall of Louisiana, Perkins Rowe, and Rural Life Museum. Bluebonnet Swamp Nature Center and Rockstar Racing are also within 3 mi (5 km). Located in the heart of Gonzales, this hotel is 0.9 mi (1.5 km) from Tanger Outlets and 2.4 mi (3.8 km) from Lamar Dixon Expo Center. Premier Lanes and Pelican Point Golf Club are also within 6 mi (10 km). 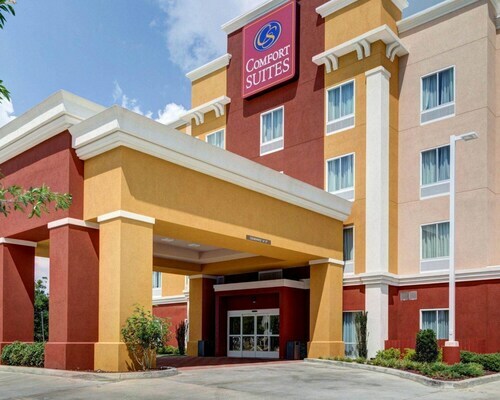 Situated in Baton Rouge, this hotel is within 1 mi (2 km) of Perkins Rowe and Mall of Louisiana. Rural Life Museum and Bluebonnet Swamp Nature Center are also within 3 mi (5 km). 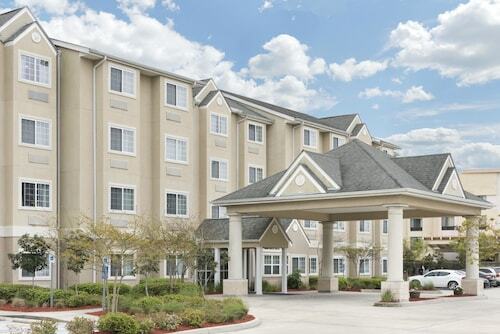 Situated in Baton Rouge, this hotel is 2.1 mi (3.3 km) from Rockstar Racing and 2.3 mi (3.6 km) from Mall of Louisiana. Perkins Rowe is 2.6 mi (4.1 km) away. Situated near the airport, this hotel is within 1 mi (2 km) of Corporate Square Mall and Nairn Drive Park. City-Brooks Community Park and 48th Street Park are also within 3 mi (5 km). 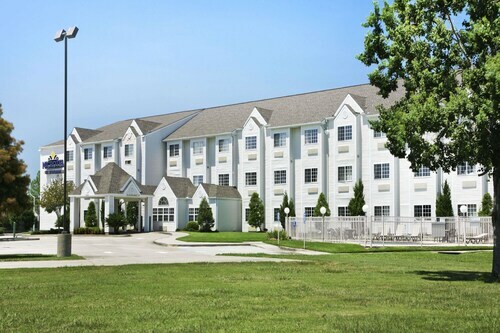 Situated in Baton Rouge, this hotel is 0.1 mi (0.1 km) from Rural Life Museum and 1.8 mi (2.9 km) from Mall of Louisiana. Perkins Rowe and Bluebonnet Swamp Nature Center are also within 3 mi (5 km). 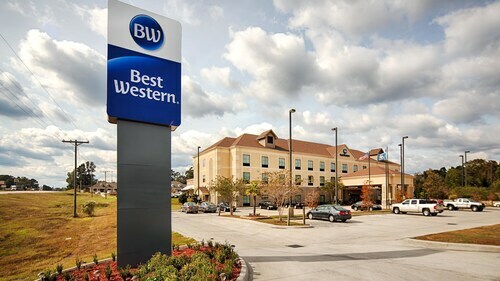 Situated in Baton Rouge, this aparthotel is 2 mi (3.2 km) from Rockstar Racing and 2.2 mi (3.5 km) from Mall of Louisiana. Perkins Rowe is 2.5 mi (4 km) away. 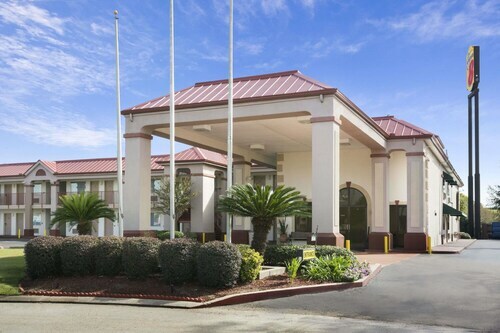 Situated in the suburbs, this hotel is 2.5 mi (4 km) from Rivault Memorial Park and 3 mi (4.8 km) from West Baton Rouge Museum. Baton Rouge River Center and Tiger Stadium are also within 6 mi (10 km). Situated in Baton Rouge, this hotel is 0.6 mi (1 km) from Nairn Drive Park and within 3 mi (5 km) of Louisiana State University and Tiger Stadium. Corporate Square Mall and City-Brooks Community Park are also within 2 mi (3 km). Situated in the business district, this hotel is 1.8 mi (2.9 km) from Rockstar Racing and 2.4 mi (3.8 km) from Mall of Louisiana. Perkins Rowe is 3 mi (4.8 km) away. 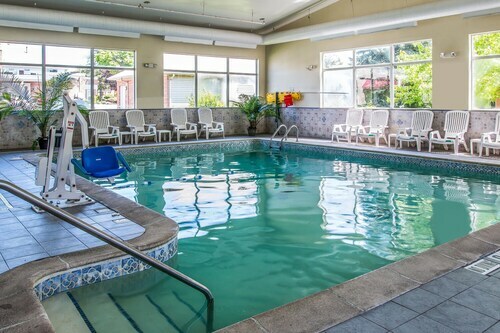 Located in Broadmoor, this hotel is within 6 mi (10 km) of Gateway 12 Shopping Center, Sherwood South Shopping Center, and Corner Square Shopping Center. Tams Drive Park and Kidz Korner Playland are also within 6 mi (10 km). Situated in Gonzales, this motel is 0.8 mi (1.4 km) from Tanger Outlets and 2.3 mi (3.6 km) from Lamar Dixon Expo Center. Premier Lanes and Pelican Point Golf Club are also within 6 mi (10 km). 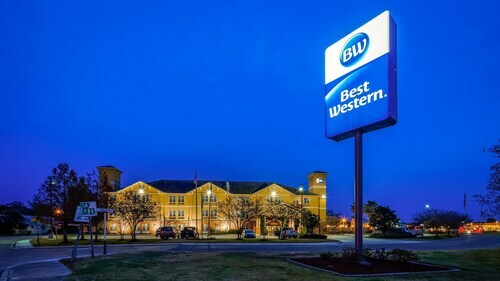 Located in the heart of Port Allen, this hotel is 2.4 mi (3.9 km) from Rivault Memorial Park and 2.9 mi (4.7 km) from West Baton Rouge Museum. Baton Rouge River Center and Tiger Stadium are also within 6 mi (10 km). Located in Broadmoor, this hotel is within 3 mi (5 km) of Gateway 12 Shopping Center, Sherwood South Shopping Center, and Sharp Road Park. Circle Bowl and Corner Square Shopping Center are also within 3 mi (5 km). 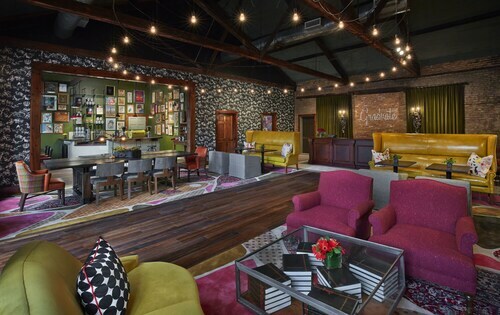 Located in the heart of Baton Rouge, this hotel is within 6 mi (10 km) of Baton Rouge River Center, Shaw Center for the Arts, and Louisiana State Capitol. 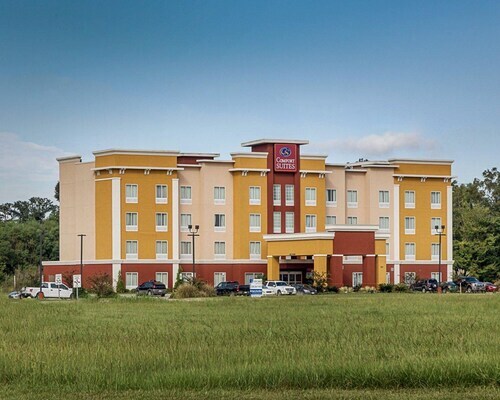 Situated near the airport, this eco-friendly hotel is within 9 mi (15 km) of Copper Mill Golf Club, Southern University and A&M College, and Baton Rouge Zoo. Anna T. Jordan Community Park and Port Hudson National Cemetery are also within 9 mi (15 km). 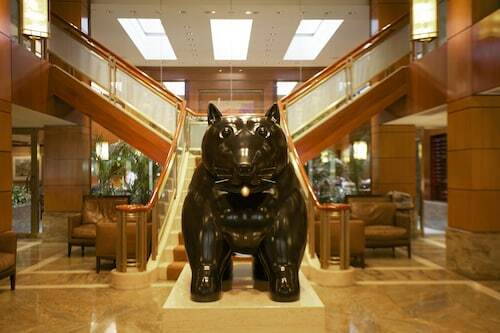 Situated in Walker, this hotel is within 9 mi (15 km) of Juban Crossing, North Park, and Greystone Country Club. Denham Springs Antique Village and Old City Hall are also within 9 mi (15 km). 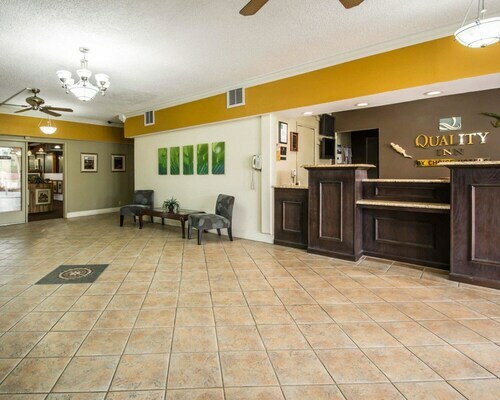 Located in the heart of Baton Rouge, this hotel is within 1 mi (2 km) of Corporate Square Mall and Nairn Drive Park. Enchanted Mansion Doll Museum and City-Brooks Community Park are also within 3 mi (5 km). 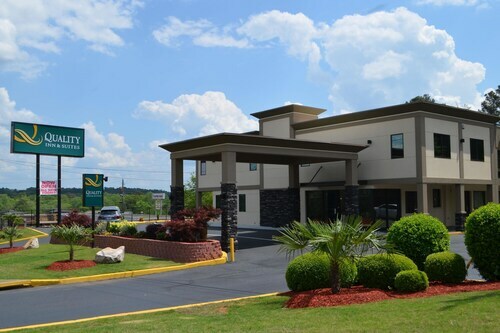 Located in Scotlandville, this hotel is 2.1 mi (3.4 km) from A.W. Mumford Stadium and 2.4 mi (3.9 km) from Southern University and A&M College. Metro Bowl and Monte Sano Park are also within 3 mi (5 km). 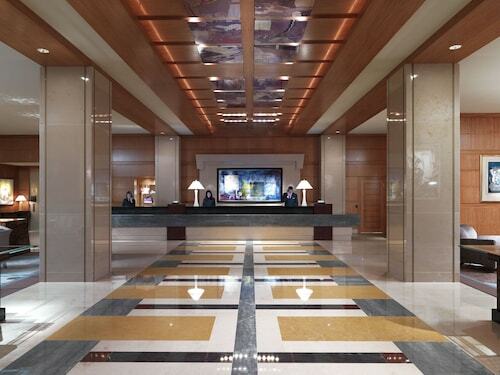 Situated in Baton Rouge, this hotel is 1.4 mi (2.2 km) from Rockstar Racing and 2.5 mi (4.1 km) from Mall of Louisiana. Blue Bayou Waterpark and Perkins Rowe are also within 6 mi (10 km). 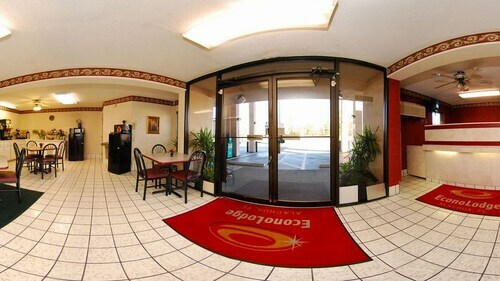 Situated in Gonzales, this hotel is within 3 mi (5 km) of Tanger Outlets, Lamar Dixon Expo Center, and Premier Lanes. Pelican Point Golf Club and Lil Bambinos Playtorium are also within 6 mi (10 km). 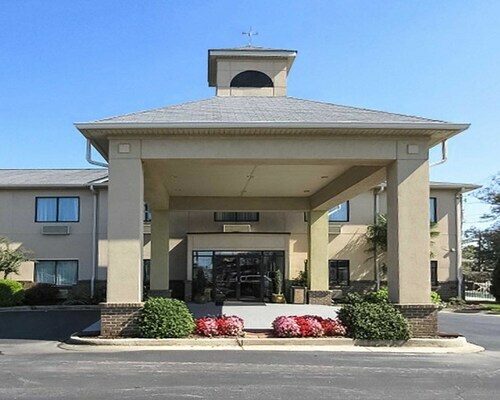 Located in the heart of Zachary, this golf hotel is 1.5 mi (2.4 km) from Copper Mill Golf Club and within 9 mi (15 km) of Port Hudson National Cemetery and Port Hudson State Historic Site. Southern University and A&M College and Anna T. Jordan Community Park are also within 12 mi (20 km). 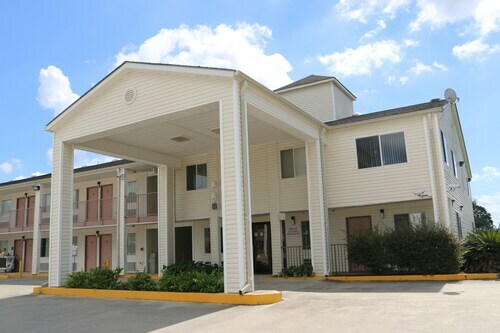 Located in the heart of Denham Springs, this hotel is within 3 mi (5 km) of Kidz Korner Playland, Denham Springs Antique Village, and Old City Hall. Greystone Country Club and Juban Crossing are also within 6 mi (10 km). 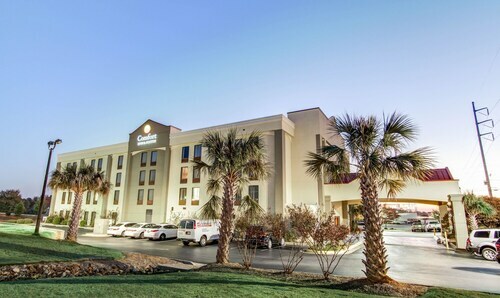 Situated in Gonzales, this hotel is 0.5 mi (0.8 km) from Tanger Outlets and 1.7 mi (2.7 km) from Lamar Dixon Expo Center. Premier Lanes and Pelican Point Golf Club are also within 6 mi (10 km). Situated in St. Francisville, this hotel is within 2 mi (3 km) of Rosedown Plantation State Historic Site, Hemingbough, and Grace Church of West Feliciana Parish. Myrtles Plantation is 2 mi (3.2 km) away. Located in the heart of Gonzales, this hotel is 0.2 mi (0.3 km) from Tanger Outlets and 1.4 mi (2.2 km) from Lamar Dixon Expo Center. Premier Lanes and Pelican Point Golf Club are also within 6 mi (10 km). 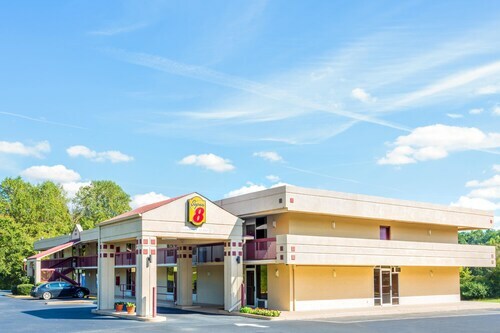 Situated in Plaquemine, this hotel is 0.7 mi (1.1 km) from Iberville Museum and within 12 mi (20 km) of Nottoway Plantation and Greater Baton Rouge Port. Rivault Memorial Park is 12 mi (19.3 km) away. Situated near the airport, this hotel is within a 10-minute walk of The Old Governor's Mansion and Baton Rouge River Center. Louisiana State University and Hollywood Casino are also within 3 mi (5 km). Situated in a shopping district, this hotel is 0.3 mi (0.4 km) from Tanger Outlets and 1.4 mi (2.3 km) from Lamar Dixon Expo Center. Premier Lanes and Pelican Point Golf Club are also within 6 mi (10 km). Situated in Port Allen, this hotel is 2.5 mi (4 km) from Rivault Memorial Park and 2.9 mi (4.7 km) from West Baton Rouge Museum. Baton Rouge River Center and Tiger Stadium are also within 6 mi (10 km). Located in Broadmoor, this hotel is within a 10-minute walk of Gateway 12 Shopping Center and Sherwood South Shopping Center. Sharp Road Park and Corner Square Shopping Center are also within 3 mi (5 km). 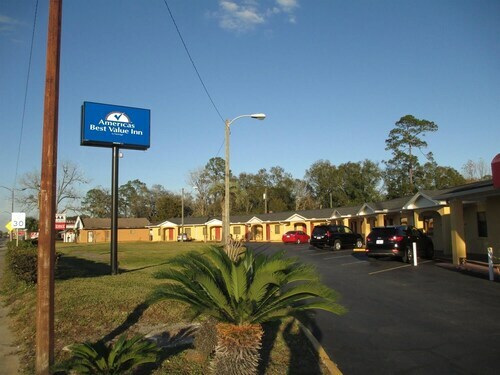 Situated in the historical district, this motel is 2.9 mi (4.6 km) from Rivault Memorial Park and within 6 mi (10 km) of Louisiana State University and Baton Rouge River Center. Tiger Stadium and Hollywood Casino are also within 6 mi (10 km). Situated in Denham Springs, this hotel is within 3 mi (5 km) of Kidz Korner Playland, Denham Springs Antique Village, and Old City Hall. Greystone Country Club and Juban Crossing are also within 6 mi (10 km). 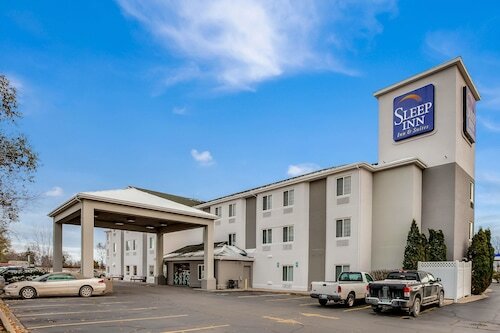 Located in the heart of Baton Rouge, this hotel is 2.2 mi (3.5 km) from Mall of Louisiana and 2.8 mi (4.6 km) from Perkins Rowe. Blue Bayou Waterpark and Varsity Theatre are also within 9 mi (15 km). Located in Broadmoor, this hotel is within 3 mi (5 km) of Gateway 12 Shopping Center, Sherwood South Shopping Center, and Circle Bowl. Sharp Road Park and Rural Life Museum are also within 3 mi (5 km). Located in Broadmoor, this motel is within a 10-minute walk of Gateway 12 Shopping Center and Sherwood South Shopping Center. Sharp Road Park and Corner Square Shopping Center are also within 3 mi (5 km). Situated on a lake, this hotel is within 2 mi (3 km) of Rosedown Plantation State Historic Site, Myrtles Plantation, and Grace Church of West Feliciana Parish. Hemingbough is 2.2 mi (3.5 km) away. 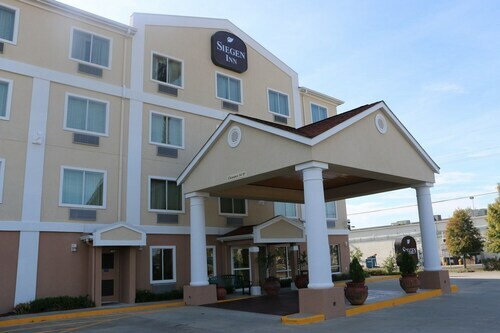 Situated in Baton Rouge, this hotel is 1.9 mi (3 km) from Rockstar Racing and 2.4 mi (3.9 km) from Mall of Louisiana. Perkins Rowe is 3.1 mi (4.9 km) away. 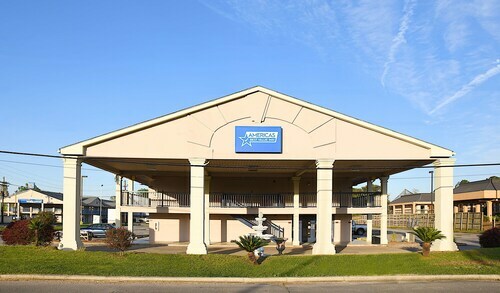 Situated near the airport, this hotel is 1.7 mi (2.8 km) from Greater Baton Rouge Port and 2.2 mi (3.5 km) from Rivault Memorial Park. Louisiana State University and Baton Rouge River Center are also within 6 mi (10 km). 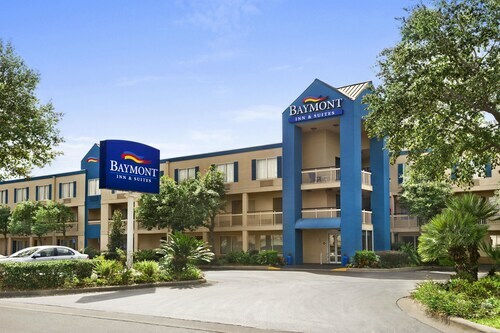 Situated in Livonia, this hotel is within 32 mi (52 km) of West Baton Rouge Museum, Baton Rouge River Center, and Southern University and A&M College. Greater Baton Rouge Port and Monte Sano Park are also within 32 mi (52 km). 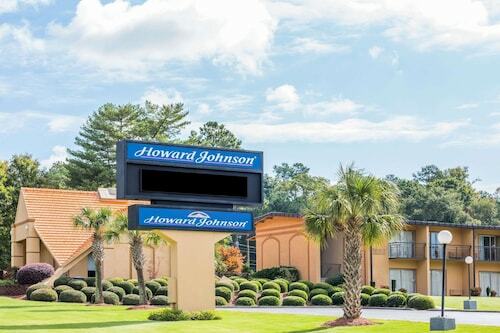 This hotel is located in Baton Rouge (Broadmoor), close to Gateway 12 Shopping Center, Sherwood South Shopping Center, and Sharp Road Park. Local attractions also include Mall of Louisiana and Circle Bowl. Located in Downtown Berkeley, this hotel is within 1 mi (2 km) of Gourmet Ghetto, University of California, Berkeley, and Greek Theater. San Francisco Bay and Berkeley Marina are also within 3 mi (5 km). North Berkeley Station is 23 minutes by foot and Ashby Station is 24 minutes. 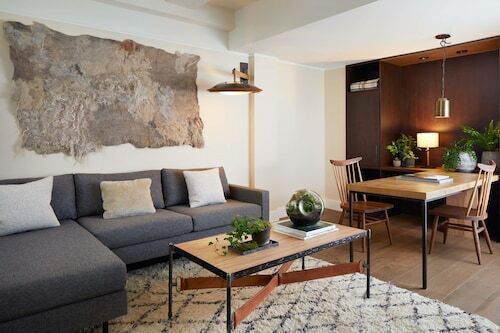 This Berkeley boutique hotel is 1 block from the UC Berkeley campus and Telegraph Avenue, lined with shops and cafés. Memorial Stadium, home of the California Golden Bears, is 0.4 mile away. 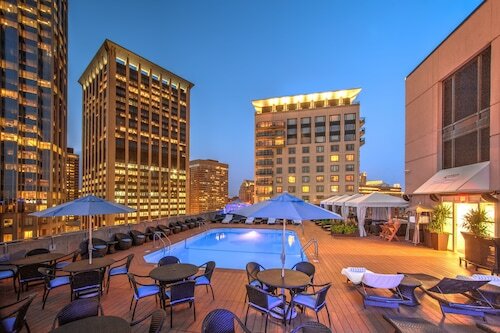 Located in the heart of Berkeley, this hotel is within 1 mi (2 km) of Gourmet Ghetto and University of California, Berkeley. San Francisco Bay and Greek Theater are also within 3 mi (5 km). North Berkeley Station is 11 minutes by foot and Ashby Station is 29 minutes. 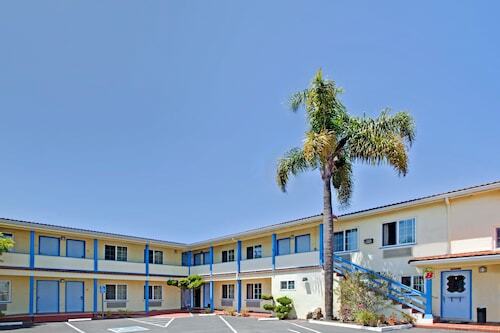 This motel is 4 blocks from a BART station and 1 mile from the University of California - Berkeley campus. Berkeley's famous "Gourmet Ghetto" is a 15-minute walk. San Francisco is 12 miles away. 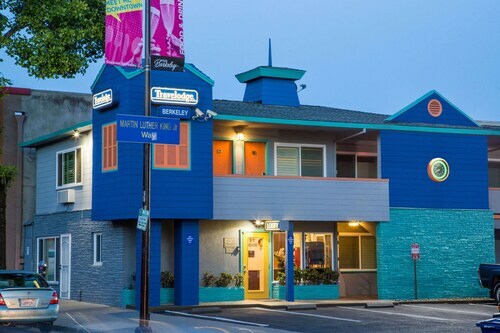 Situated in Berkeley, this motel is close to Berkeley Community Theater, Berkeley Repertory Theater, and Habitot Children's Museum. Also nearby are Magnes Collection of Jewish Art & Life and Zellerbach Playhouse. Situated in Berkeley, this motel is within 1 mi (2 km) of Gourmet Ghetto, University of California, Berkeley, and Greek Theater. San Francisco Bay and Berkeley Marina are also within 3 mi (5 km). North Berkeley Station is 13 minutes by foot and Ashby Station is 28 minutes. This Berkeley motel is 0.8 mile from a BART station, 2 miles from the UC Berkeley campus, and about 2.5 miles from Memorial Stadium. The Oakland Convention Center is 5 miles south. The Madison Concourse Hotel and Governor's Club is 1 block from the state Capitol building and 2 blocks from the Overture Center. The Monona Terrace Convention Center is half a mile away. 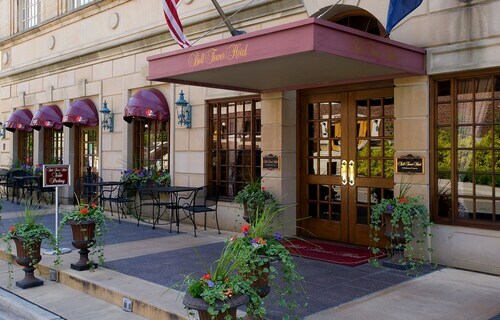 Situated near the airport, this hotel is within a 5-minute walk of Capitol Square and Wisconsin State Capitol. Kohl Center and University of Wisconsin-Madison are also within 3 mi (5 km). 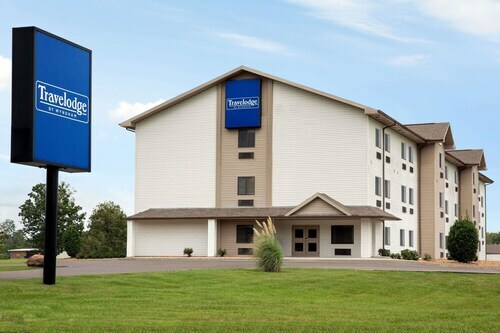 With easy freeway access, this Country Inn & Suites by Radisson, Madison Southwest is about 9 miles from vibrant downtown Madison; University of Wisconsin-Madison; and Camp Randall Stadium, home of the Wisconsin Badgers football team. 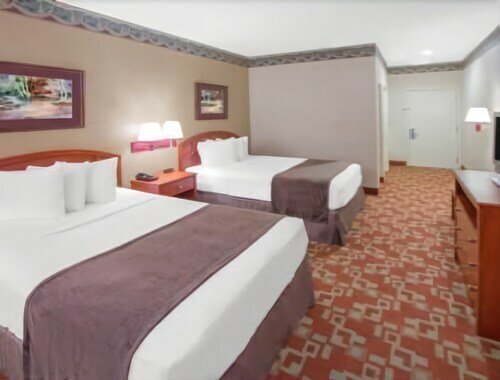 Situated in the business district, this hotel is within 9 mi (15 km) of University of Wisconsin-Madison, Camp Randall Stadium, and University of Wisconsin Hospital and Clinics. Kohl Center and Madison Museum of Contemporary Art are also within 9 mi (15 km). 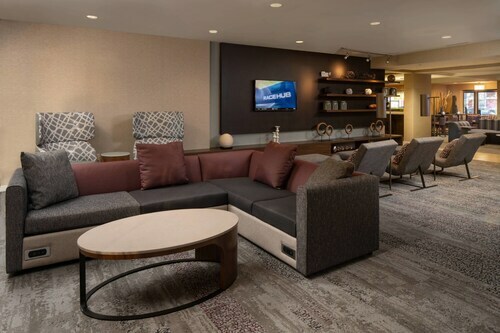 Located in the heart of Madison, this hotel is within 1 mi (2 km) of University of Wisconsin-Madison, Camp Randall Stadium, and University of Wisconsin Hospital and Clinics. Edgewood College and Hilldale Shopping Center are also within 2 mi (3 km). 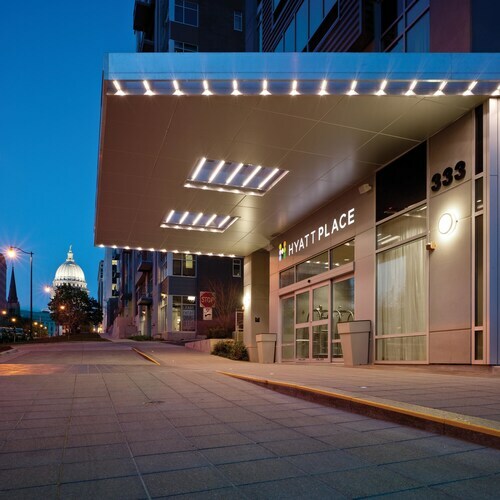 Situated 5 blocks north of John Nolen Drive/US-151, Hyatt Place Madison Downtown is 2 blocks from the Overture Center and 3 blocks from the State Capitol Building. The Kohl Center, home of Wisconsin Badger basketball, is a 10-minute walk, while shopping on State Street is 5 minutes on foot. Situated in Madison, this hotel is 2 mi (3.2 km) from Aldo Leopold Nature Center and within 6 mi (10 km) of Alliant Energy Center and Ho-Chunk Gaming Madison. Yahara Hills Golf Course and Winnequah Park are also within 6 mi (10 km). 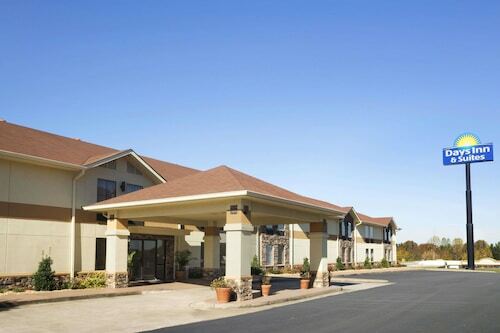 This Madison hotel is a half-mile from East Towne Mall and several restaurants, 5 miles from Dane County Regional Airport, and 10 minutes from downtown. Situated in Madison, this hotel is within 3 mi (5 km) of East Towne Mall, Madison Area Technical College, and American Center. Olbrich Botanical Gardens and Barrymore Theatre are also within 6 mi (10 km). 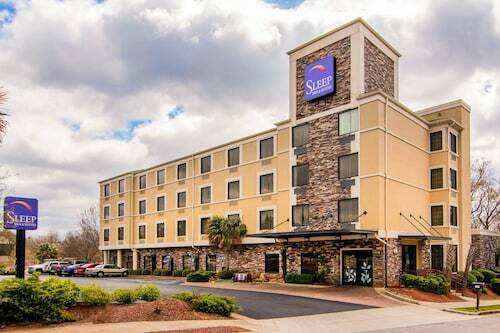 Situated in Athens, this hotel is within 2 mi (3 km) of Classic Center, University of Georgia, and Sanford Stadium. 40 Watt Club and T.R.R. Cobb House are also within 2 mi (3 km). 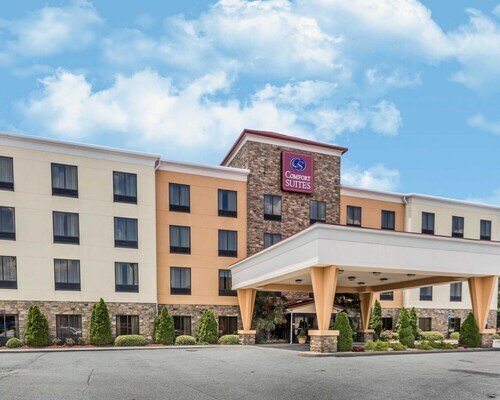 Located in the heart of Winder, this hotel is within a 15-minute walk of Barrow County Museum and North Broad Street Residential Historic District. Barrow County Courthouse and Lanier Technical College Winder are also within 1 mi (2 km). Located in the heart of Commerce, this hotel is 0.9 mi (1.4 km) from Tanger Outlets and 1.3 mi (2.1 km) from Funopolis Family Fun Center. Hurricane Shoals Park and Heritage Village and Boutier Winery are also within 12 mi (20 km). 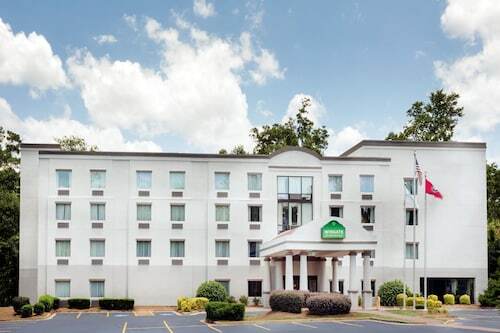 Situated in Athens, this hotel is 1.1 mi (1.7 km) from Georgia Square Mall and within 9 mi (15 km) of University of Georgia and Classic Center. Stegeman Coliseum and Taylor-Grady House are also within 9 mi (15 km). Situated in Commerce, this motel is within 1 mi (2 km) of Tanger Outlets and Funopolis Family Fun Center. Hurricane Shoals Park and Heritage Village and Boutier Winery are also within 12 mi (20 km). 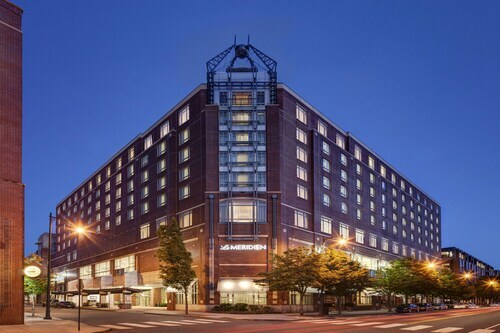 Situated in Athens, this hotel is 0.5 mi (0.7 km) from Georgia Square Mall and within 9 mi (15 km) of University of Georgia and Classic Center. Stegeman Coliseum and Taylor-Grady House are also within 9 mi (15 km). 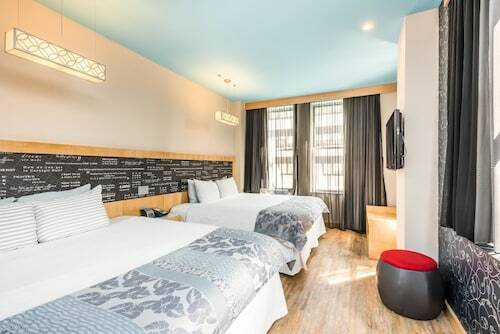 Situated in a rural location, this hotel is 0.5 mi (0.8 km) from Funopolis Family Fun Center and 1.3 mi (2.1 km) from Tanger Outlets. Hurricane Shoals Park and Heritage Village and Gresham Motorsports Park are also within 12 mi (20 km). This hotel and conference center overlooks Bivens Arm Lake and Wildlife Preserve, a picturesque setting unique in Gainesville, and is about 2 miles from the University of Florida and 3 miles from downtown. Situated in Gainesville, this hotel is 1.1 mi (1.8 km) from Fred Bear Museum and 3 mi (4.8 km) from Shands at the University of Florida. Samuel P. Harn Museum of Art and Florida Museum of Natural History are also within 2 mi (3 km). Situated in a rural location, this hotel is 0.5 mi (0.7 km) from Meadowbrook Golf Club and 2 mi (3.3 km) from Sante Fe College. North Florida Regional Medical Center and Oaks Mall are also within 6 mi (10 km). 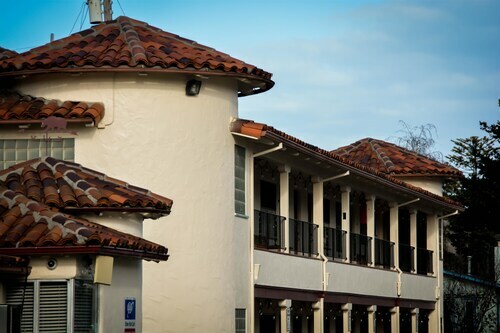 Red Roof PLUS+ Gainesville is close to campus: a 10-minute drive from the University of Florida's Ben Hill Griffin Stadium, home turf for the Florida Gators football team. It’s 10 minutes by car to the Florida Museum of Natural History, and around twice that to Paynes Prairie Preserve State Park. 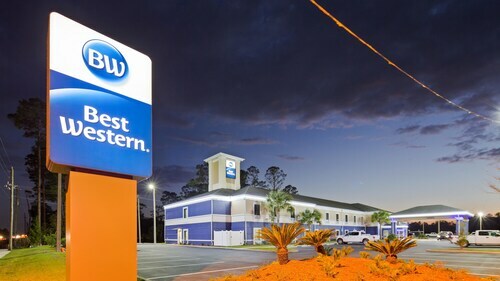 Situated in Gainesville, this hotel is 1.4 mi (2.2 km) from North Florida Regional Medical Center and 1.4 mi (2.3 km) from Oaks Mall. University of Florida and Ben Hill Griffin Stadium (The Swamp) are also within 6 mi (10 km). 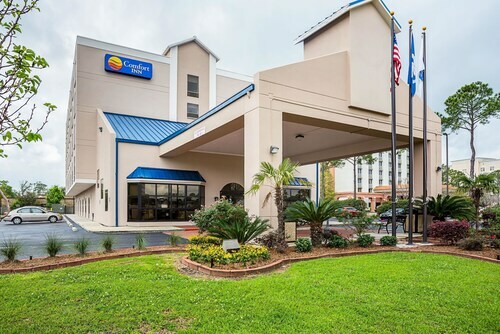 Located in the heart of Gainesville, this hotel is within 3 mi (5 km) of Shands at the University of Florida, University of Florida, and Ben Hill Griffin Stadium (The Swamp). Bivens Arm Nature Park and Hippodrome State Theatre are also within 3 mi (5 km). Located in the heart of Gainesville, this hotel is within 3 mi (5 km) of Fred Bear Museum, Samuel P. Harn Museum of Art, and Florida Museum of Natural History. Curtis M. Phillips Center and Bivens Arm Nature Park are also within 3 mi (5 km). 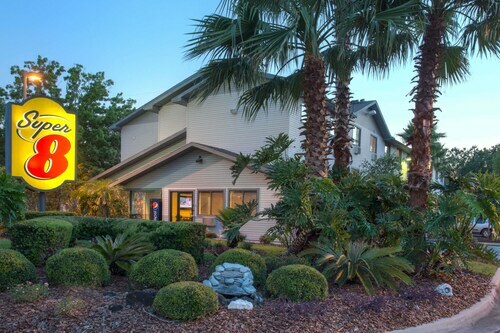 Located in the heart of Alachua, this golf hotel is within 12 mi (20 km) of San Felasco Hammock Preserve, Poe Springs Park, and Meadowbrook Golf Club. Sante Fe College and Devil's Milhopper Geological State Park are also within 12 mi (20 km). Located in the heart of Gainesville, this hotel is within 3 mi (5 km) of Fred Bear Museum, Samuel P. Harn Museum of Art, and Florida Museum of Natural History. Curtis M. Phillips Center and Kanapaha Botanical Gardens are also within 3 mi (5 km). 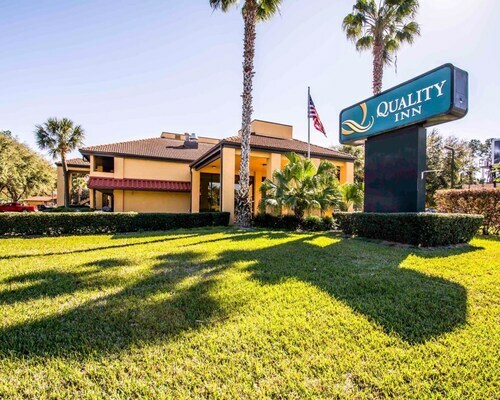 Situated in the business district, this hotel is within a 15-minute walk of North Florida Regional Medical Center and Oaks Mall. University of Florida and Ben Hill Griffin Stadium (The Swamp) are also within 6 mi (10 km). 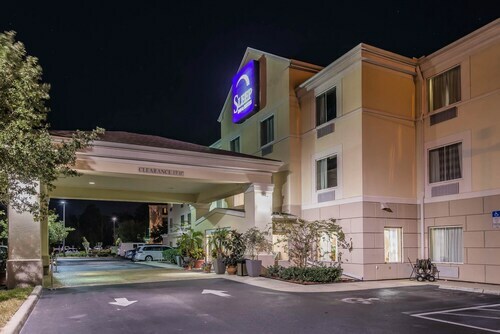 Located in the heart of Gainesville, this hotel is 1.1 mi (1.7 km) from Fred Bear Museum and 3 mi (4.8 km) from Shands at the University of Florida. Samuel P. Harn Museum of Art and Florida Museum of Natural History are also within 2 mi (3 km). 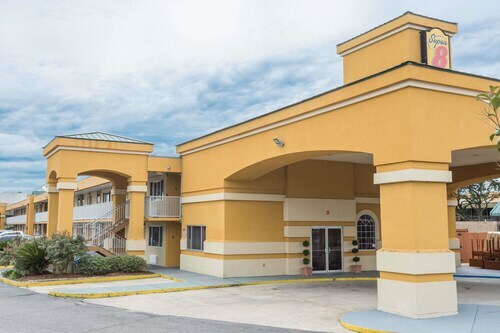 Situated in Starke, this hotel is 4.6 mi (7.3 km) from Starke Golf and Country Club and within 12 mi (20 km) of Camp Blanding Museum and Memorial Park and Waldo Motorsports. Gainesville Raceway and Single Vision Inc. are also within 25 mi (40 km). 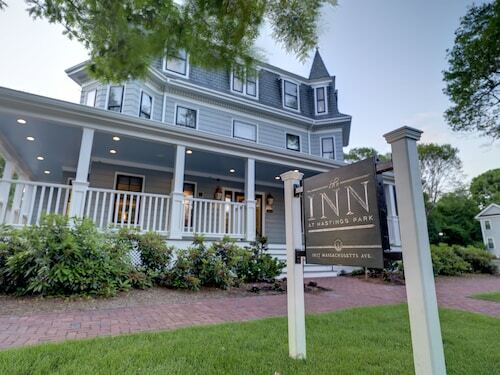 Situated in Gainesville, this hotel is 0.7 mi (1.2 km) from Fred Bear Museum and within 3 mi (5 km) of Kanapaha Botanical Gardens and Samuel P. Harn Museum of Art. Florida Museum of Natural History and Curtis M. Phillips Center are also within 3 mi (5 km). 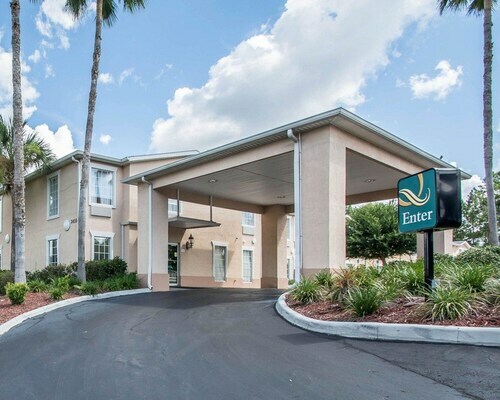 Situated in Gainesville, this hotel is within 1 mi (2 km) of North Florida Regional Medical Center and Oaks Mall. Sante Fe College and Florida Museum of Natural History are also within 6 mi (10 km). Situated in Alachua, this hotel is within 12 mi (20 km) of San Felasco Hammock Preserve, Poe Springs Park, and Meadowbrook Golf Club. Sante Fe College and Devil's Milhopper Geological State Park are also within 12 mi (20 km). 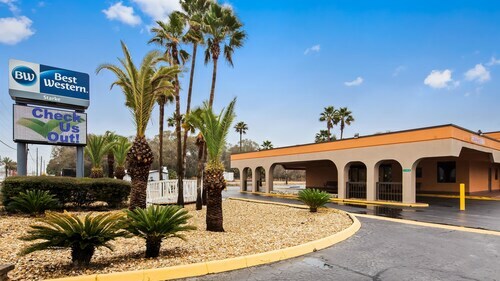 Situated in Starke, this motel is 3.3 mi (5.3 km) from Starke Golf and Country Club and within 12 mi (20 km) of Camp Blanding Museum and Memorial Park and Waldo Motorsports. Single Vision Inc. and Gold Head Branch State Park are also within 20 mi (32 km). Situated in Gainesville, this hotel is 1.1 mi (1.8 km) from Fred Bear Museum and 3.1 mi (4.9 km) from Shands at the University of Florida. Samuel P. Harn Museum of Art and Florida Museum of Natural History are also within 3 mi (5 km). 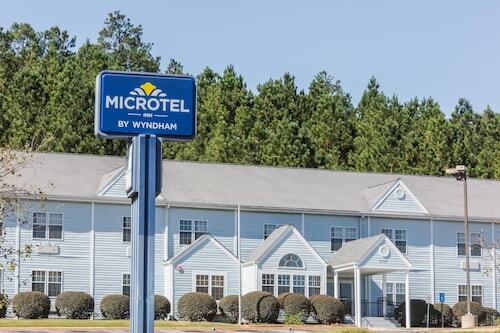 Located in the heart of Waldo, this hotel is 0.4 mi (0.6 km) from Waldo Motorsports and 12.3 mi (19.8 km) from Gainesville Raceway. Ironwood Golf Course and Starke Golf and Country Club are also within 16 mi (25 km). 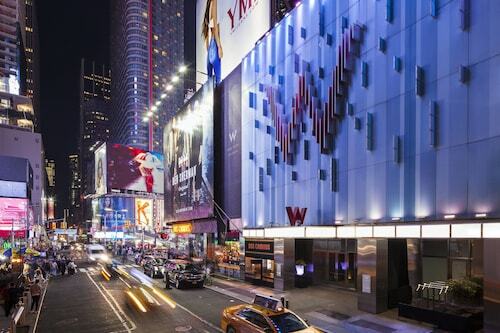 Conveniently located in Midtown Manhattan, the TRYP By Wyndham Times Square South hotel is within a 10-block radius of Times Square, the Rockefeller Center, and the Broadway theater district. 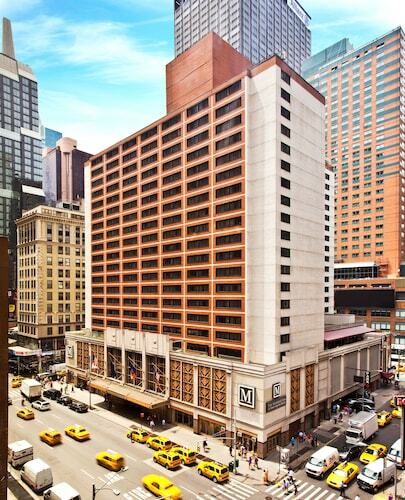 Penn Station is just a block away, making transport to JFK Airport a breeze. 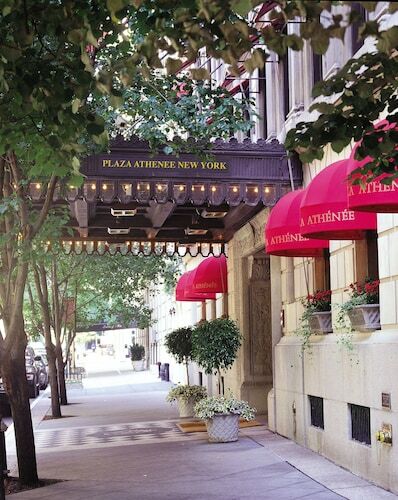 Located in Midtown, this luxury hotel is within a 10-minute walk of Broadway, Bryant Park, and Times Square. New York Public Library and Grand Central Terminal are also within 10 minutes. 5 Av Station (W. 42nd St.) is only a 2-minute walk and 47 - 50 Sts - Rockefeller Center Station is 5 minutes. 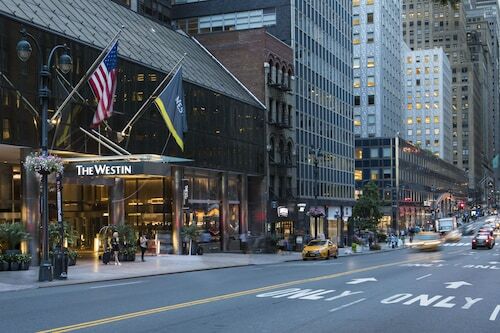 Located in Midtown, this luxury hotel is steps from Time Warner Center and Columbus Circle. Carnegie Hall and Times Square are also within 1 mi (2 km). 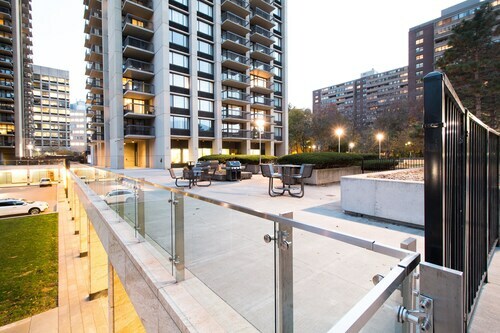 59 St. - Columbus Circle Station is only a 2-minute walk and 57 St. - 7 Av Station is 4 minutes. 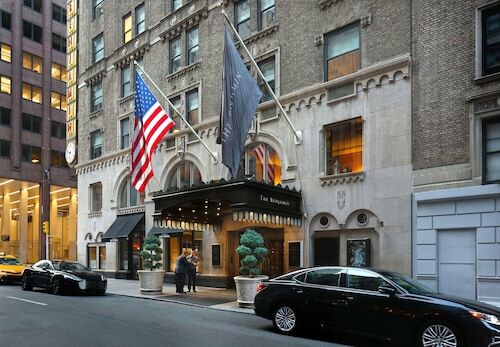 Located in Midtown, this luxury hotel is steps from Broadway and Minskoff Theater. Times Square and Music Box Theatre are also within 5 minutes. 49th St. Station and 5 Av Station (W. 42nd St.) are within a 5-minute walk. 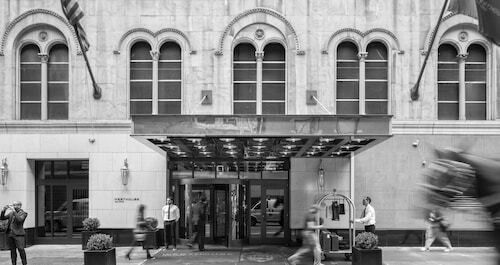 Standing at the corner of East 50th Street and Lexington Avenue, this Midtown New York hotel is 3 blocks east of Rockefeller Center and Radio City Music Hall; the Theater District is 4 blocks away. 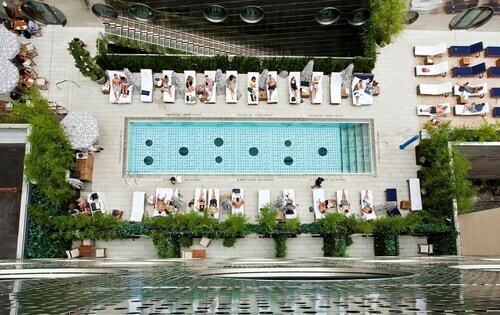 Located in Midtown, this luxury hotel is within a 10-minute walk of The High Line Park and Madison Square Garden. Jacob K. Javits Convention Center and Chelsea Piers are also within 15 minutes. 23 St. Station (8th Av.) is 11 minutes by foot and 28 St. Station (7th Av.) is 13 minutes. 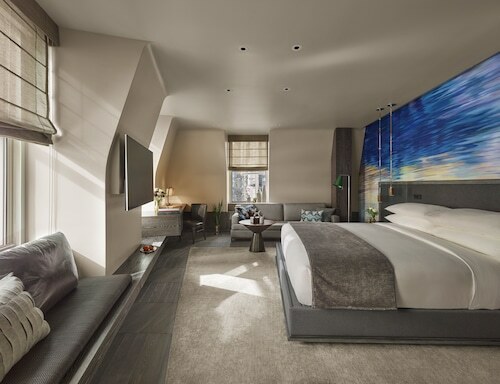 Located in SoHo, this luxury hotel is within 2 mi (3 km) of Washington Square Park, New York University, and National September 11 Memorial. 5th Avenue and One World Trade Center are also within 1 mi (2 km). Canal St. Station (W. Broadway) and Canal St. Station (Varick St.) are within a 5-minute walk. 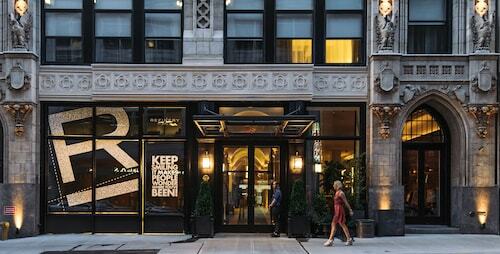 NoMo SoHo is in a trendy part of lower Manhattan, 2 blocks from Canal Street Subway Station. 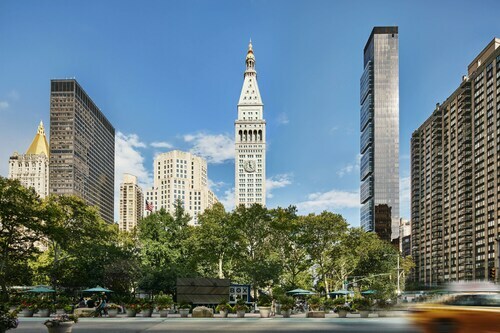 Guests can walk 20 minutes to the 9/11 Memorial and Museum or historic South Street Seaport, and take a 10-minute cab ride to Battery Park, where boat trips depart for Liberty and Ellis Islands. 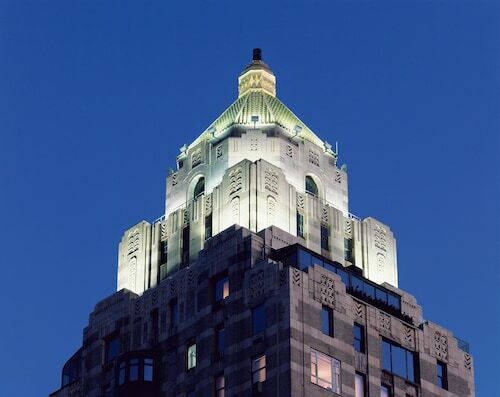 Located in Midtown, this luxury hotel is within a 10-minute walk of Chrysler Building, Grand Central Terminal, and 5th Avenue. United Nations Headquarters and Bryant Park are also within 15 minutes. Grand Central - 42 St. Station is 5 minutes by foot and New York Grand Central Terminal Station is 5 minutes. 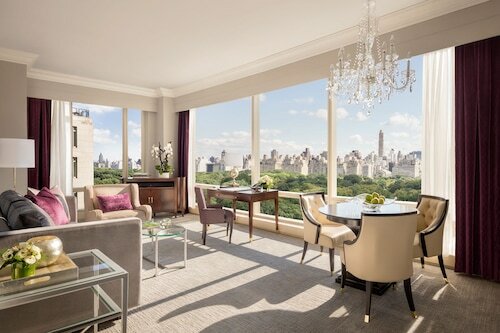 This hip high-rise is right in the middle of the Times Square action, 2 blocks from Fifth Avenue, 5 blocks from Rockefeller Center, and surrounded by 30 Broadway theaters. 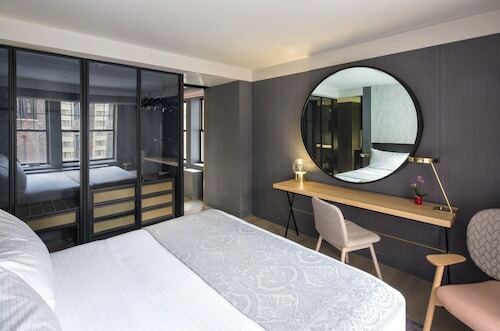 Located between Manhattan's TriBeCa and SoHo neighborhoods, Roxy Hotel Tribeca is within walking distance of Chinatown and Little Italy. Battery Park and the South Ferry, with service to the Statue of Liberty and Ellis Island, are both a 10-minute bus ride. JFK Airport is 45 minutes by taxi. 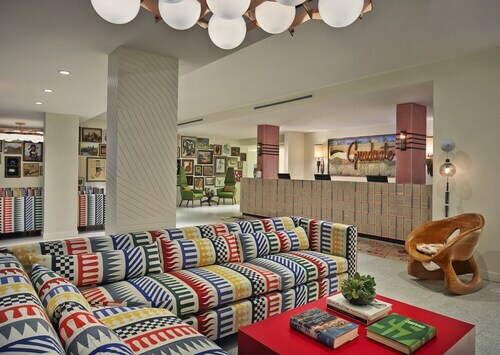 This family-friendly New York hotel is located in the entertainment district, within a 5-minute walk of Whitney Museum of American Art and Chelsea Market. 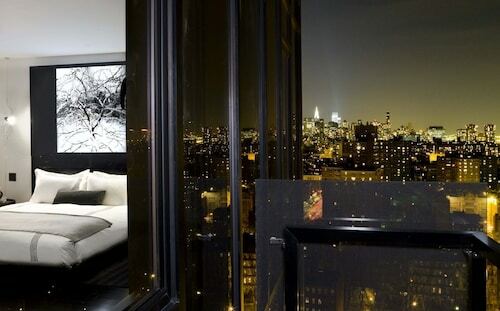 The High Line Park and Friends Apartment Building are also within 15 minutes. 8 Av. Station (W 14th St.) is 5 minutes by foot and 14 St. Station (8th Av.) is 7 minutes. 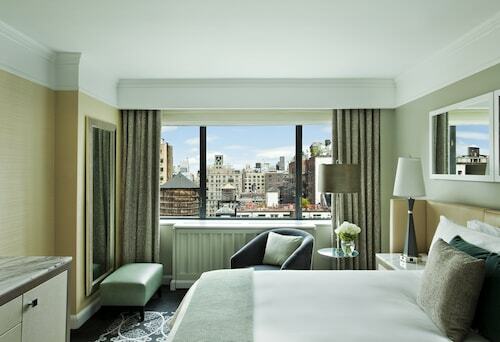 Located in Midtown, this luxury hotel is within a 5-minute walk of Chelsea Market and The High Line Park. 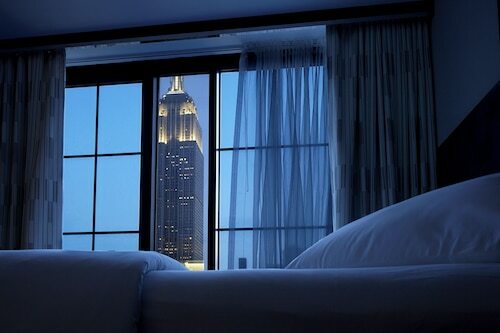 Union Square and Empire State Building are also within 2 mi (3 km). 14 St. Station (8th Av.) and 8 Av. Station (W 14th St.) are within a 5-minute walk. 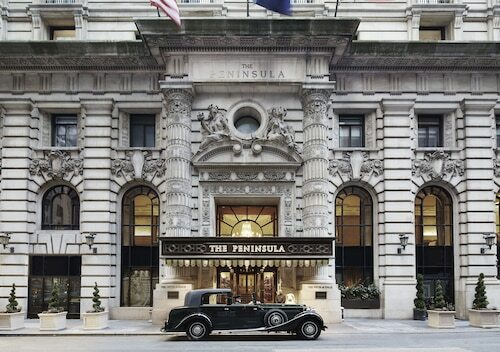 Situated in New York's Broadway - Times Square neighborhood, this hotel is close to New York Public Library, Grand Central Terminal, and Chrysler Building. Area attractions also include Empire State Building and Times Square. The art-fueled The James New York- SoHo screams SoHo. Stylish galleries and cutting-edge shops, from upscale boutiques to major chains, surround the property on the neighborhood’s southwest edge. Times Square and Central Park are just 1 minute by subway, accessible 1 block away at Canal St. Station. 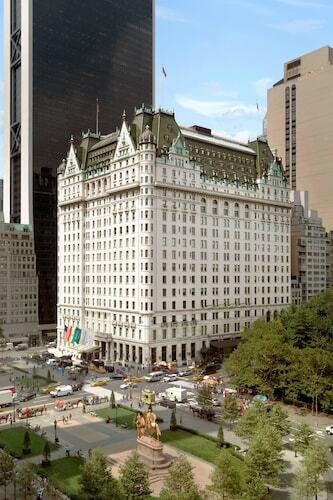 Located in Midtown, this hotel is within 1 mi (2 km) of Grand Central Terminal, Rockefeller Center, and Madison Square Garden. Broadway and Times Square are also within 1 mi (2 km). Grand Central - 42 St. Station is 7 minutes by foot and New York Grand Central Terminal Station is 7 minutes. 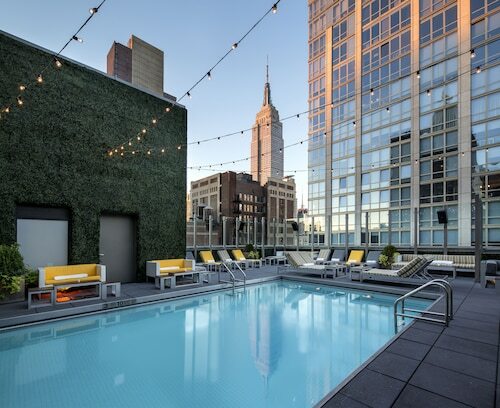 Located near the Financial District, this club-like hotel is adjacent to the World Trade Center site and the 9/11 Memorial and Reflecting Pools Freedom Tower. Battery Park is within a mile. 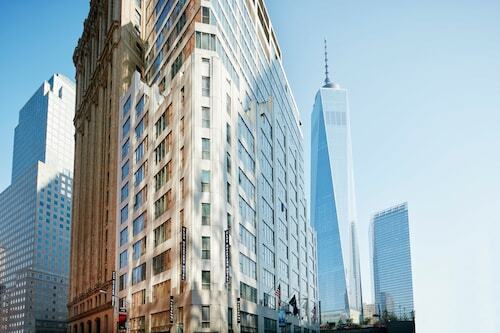 Nearby neighborhoods include the Tribeca, Little Italy, Chinatown and SoHo. 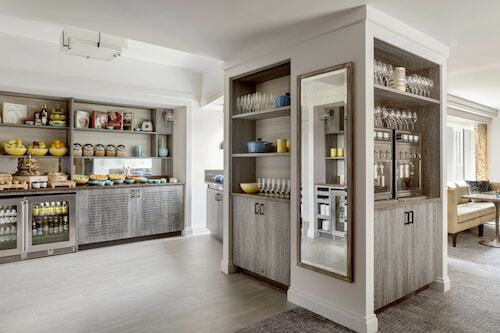 Located in Beacon Hill, this luxury hotel is steps from Suffolk University, The Freedom Trail, and Downtown Crossing. Boston Common and Boston Opera House are also within 10 minutes. Park St. Station is only a 4-minute walk and Bowdoin Station is 5 minutes. 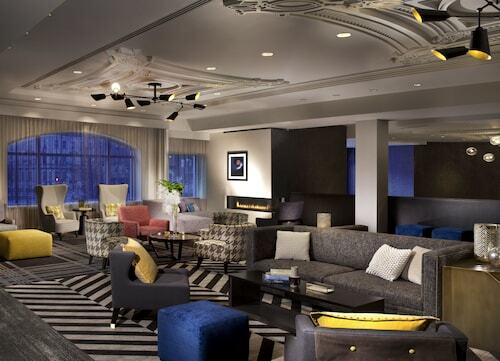 Located in Back Bay, this luxury hotel is steps from Prudential Tower and Newbury Street. Hynes Convention Center and Boston Public Library are also within 5 minutes. 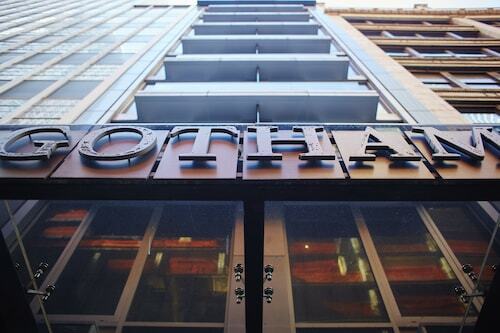 Copley Station is only a 5-minute walk and Hynes Convention Center Station is 8 minutes. 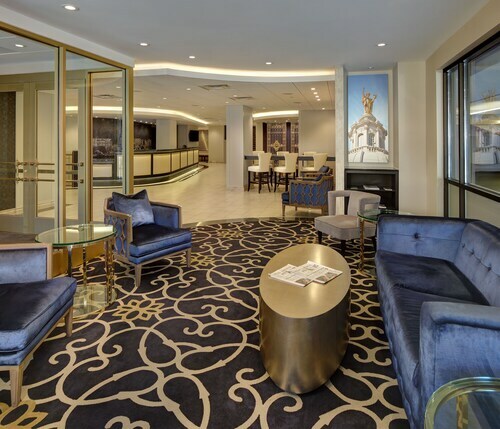 Modern and luxurious, this hotel offers a desirable location in Boston's Theater District, across the street from Boston Common and walking paths and two blocks from the historic Freedom Trail. 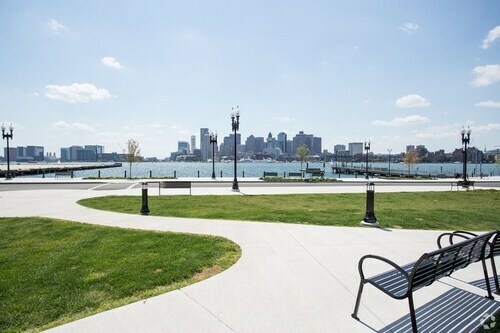 Located in East Boston, this apartment building is within 3 mi (5 km) of New England Aquarium, Boston Harbor, and Faneuil Hall Marketplace. Long Wharf and Quincy Market are also within 3 mi (5 km). Maverick Station is only a 3-minute walk and Airport Station is 16 minutes. 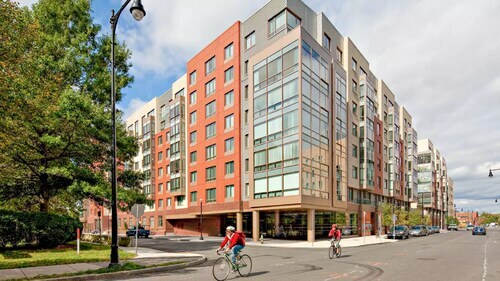 Located in East Cambridge, this aparthotel is within 1 mi (2 km) of Cambridgeside Galleria, Museum of Science, and Massachusetts Institute of Technology (MIT). Massachusetts General Hospital and Kendall Square are also within 1 mi (2 km). Kendall-MIT Station is 6 minutes by foot and Lechmere Station is 13 minutes. 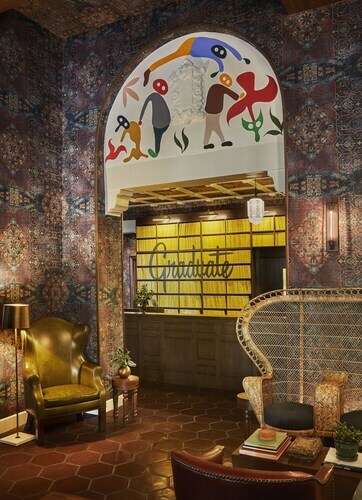 Centrally located in the heart of Cambridge’s business and university district, Le Méridien is steps away from a culturally diverse area, easily accessible from Logan Airport and just minutes from Boston city center. 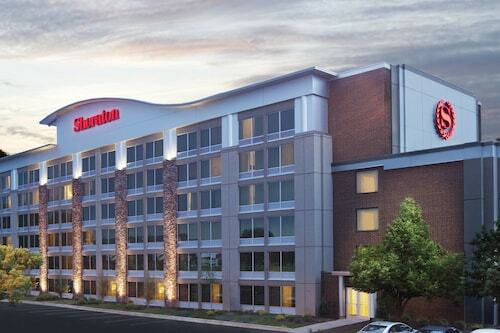 Located just off Interstate 95, Boston Marriott Burlington is a 3-minute drive from Burlington Mall. Downtown Boston and Logan International Airport are both less than 25 minutes by car. History buffs can drive 11 minutes to Lexington Common and Minute Man National Historical Park. 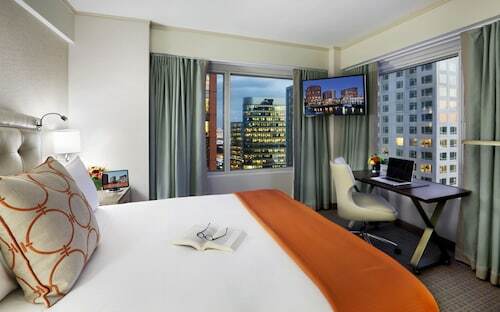 Located only 2 blocks from Faneuil Hall and Post Office Square, Club Quarters Hotel in Boston's financial district offers full-service accommodations in a club atmosphere. 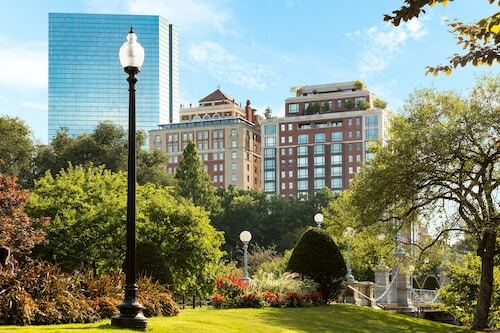 The hotel is just a short walk away from the Government Center, Quincy Hall, the North End, Boston Commons and Waterfront. 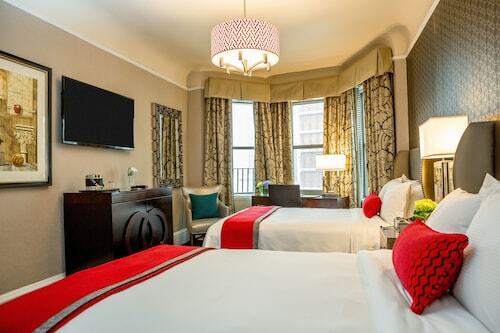 This 285-room Boston hotel is next to Copley Place shopping, 1 block from the Hynes Convention Center, 4 blocks from the Theater District, and 1 mile from Fenway Park. 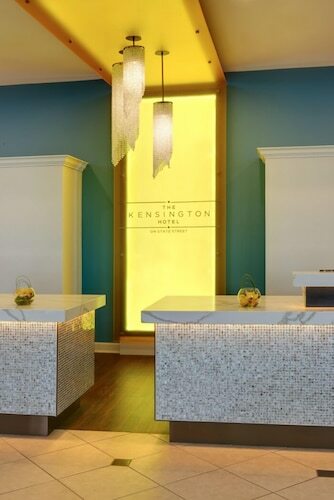 Situated in Lexington, this boutique hotel is 3 mi (4.9 km) from Burlington Mall and within 9 mi (15 km) of Tufts University and Bentley College. Walden Pond and Davis Square are also within 9 mi (15 km). Located in West End, this apartment building is within a 10-minute walk of TD Garden and Boston Harbor. Massachusetts General Hospital and The Freedom Trail are also within 15 minutes. Boston North Station is only a 5-minute walk and Bowdoin Station is 6 minutes. 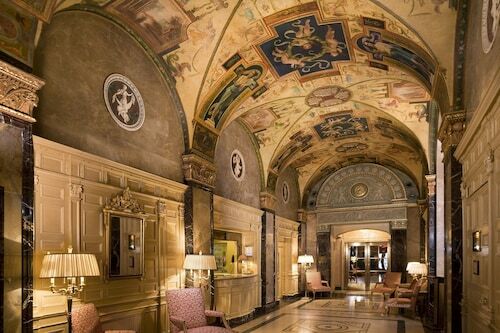 Boston's fashionable and historic Back Bay is the setting for this fully renovated boutique hotel on Copley Square. Newbury Street shops are 2 blocks away, and both Boston Common and Fenway Park are within 1 mile. Hynes Convention Center is also nearby. Located in East Cambridge, this hotel is within a 10-minute walk of Cambridgeside Galleria and Museum of Science. The Freedom Trail and TD Garden are also within 1 mi (2 km). Lechmere Station is 8 minutes by foot and Community College Station is 13 minutes.